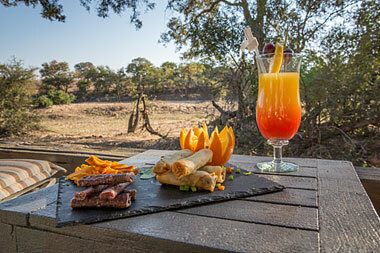 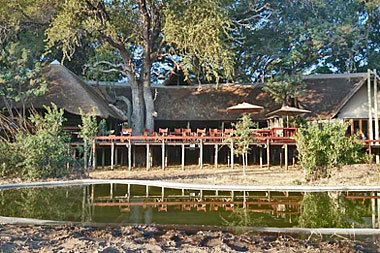 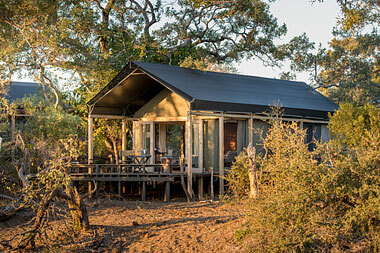 The Simbavati River Lodge offers accommodation in luxury tents and chalets, in the Timbavati Private Nature Reserve, which is open and adjacent to the Kruger Park. 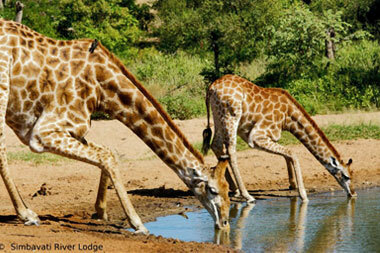 Simbavati River Lodge is surrounded by 12 000 hectares of a wildlife rich wilderness where you can experience an authentic South African safari. 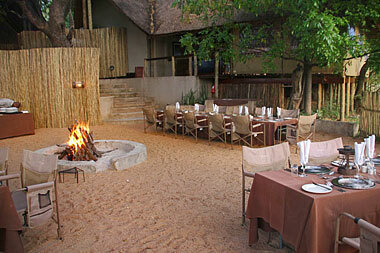 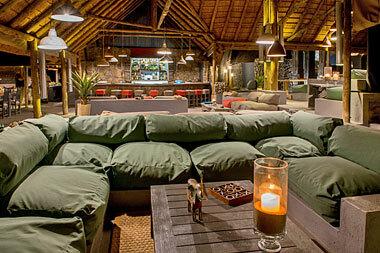 This 4-star lodge is contemporary, warm and welcoming. 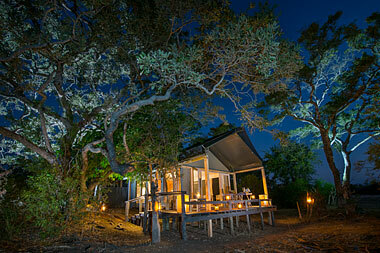 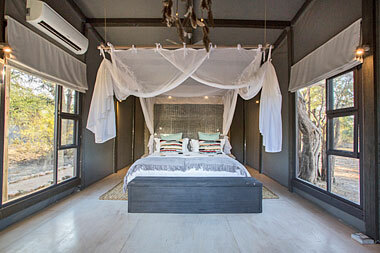 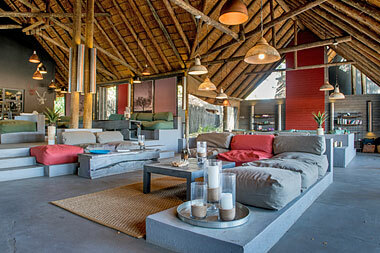 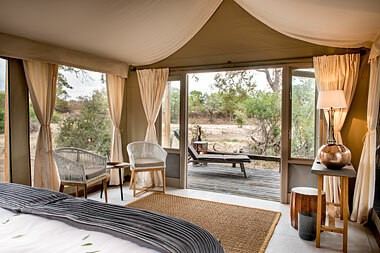 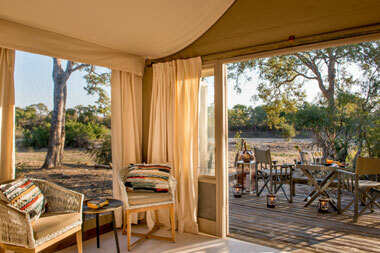 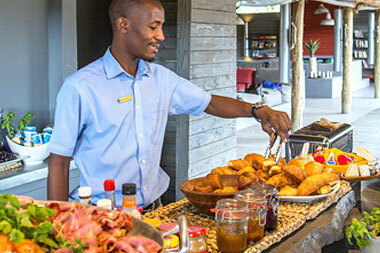 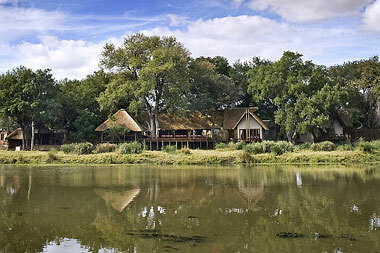 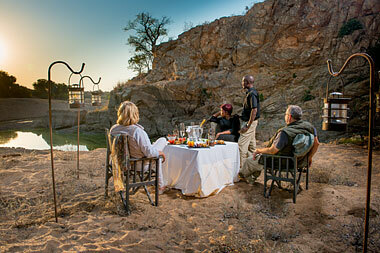 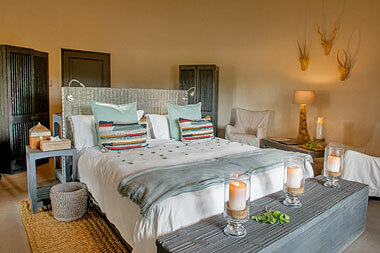 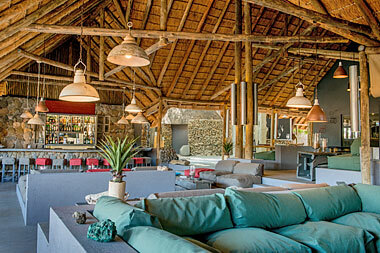 This luxurious tented accommodation has expansive views from its private viewing deck. 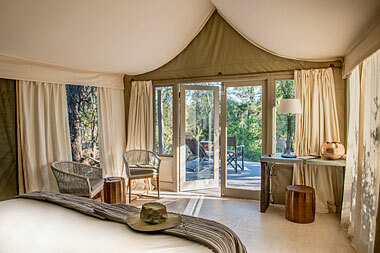 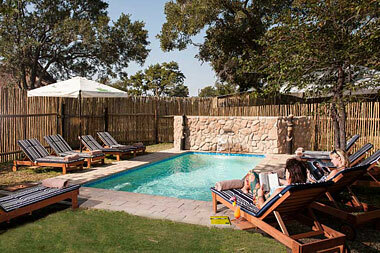 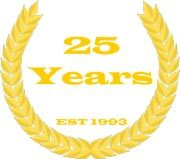 Tents are spaced adequately far apart to ensure privacy, with all amenities to ensure a luxurious and comfortable stay. 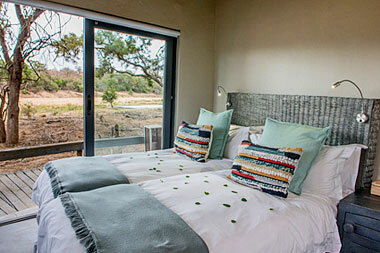 Simbavati River Lodge is a child-friendly safari camp, accommodation in three family chalets, each with two separate bedrooms sharing a bathroom. 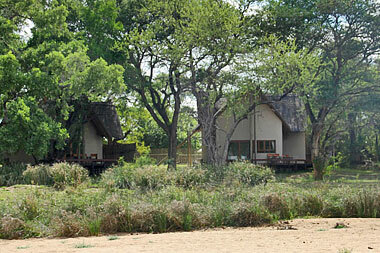 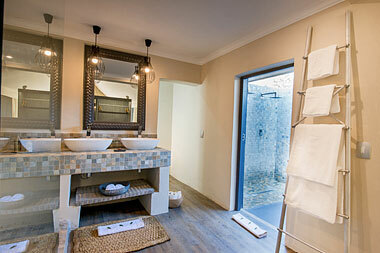 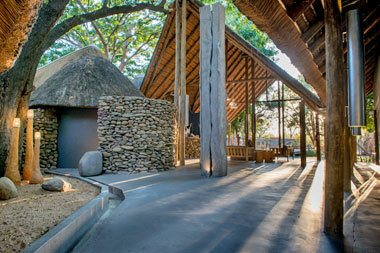 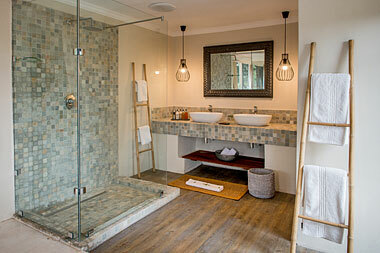 One of these chalets can accommodate five guests, whilst the other two family chalets accommodate four each. 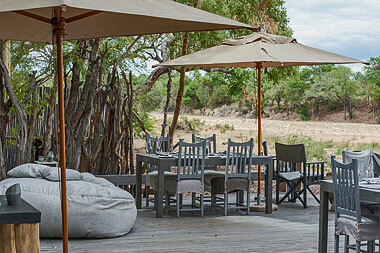 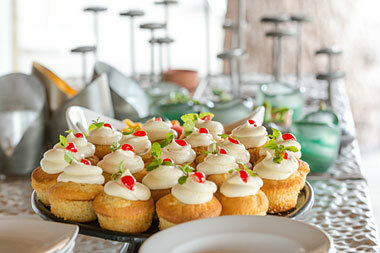 Guest common areas has a comfortable lounge, bar, boma, a swimming pool and extensive decks with excellent wildlife sightings and views overlooking the Nhlaralumi River. 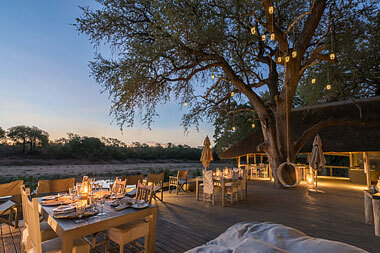 Simbavati River Lodge offers excellent game viewing, friendly and knowledgeable staff in an environment where guests are made to feel welcome, comfortable and relaxed from the moment they arrive. 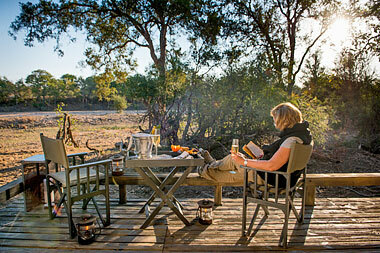 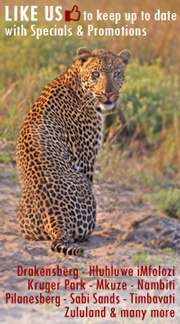 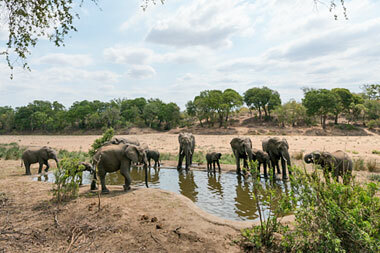 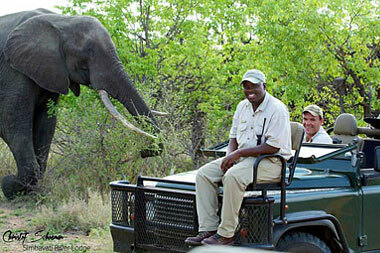 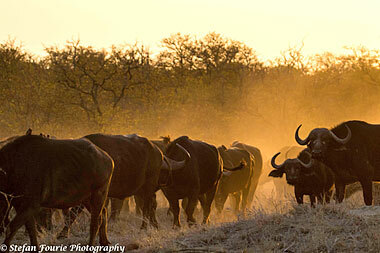 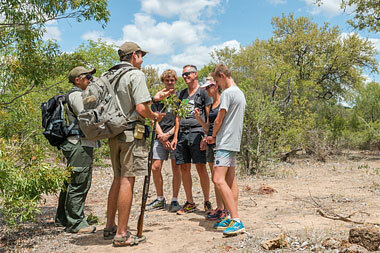 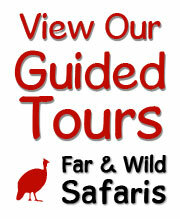 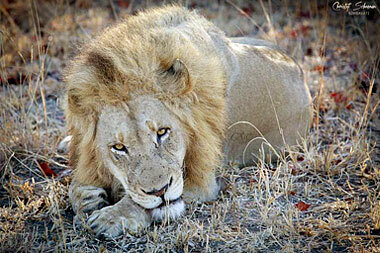 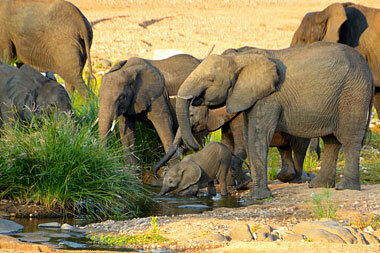 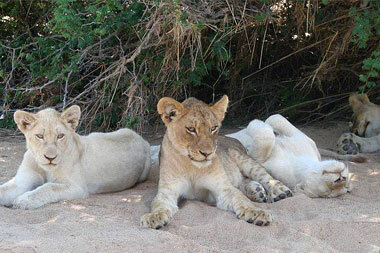 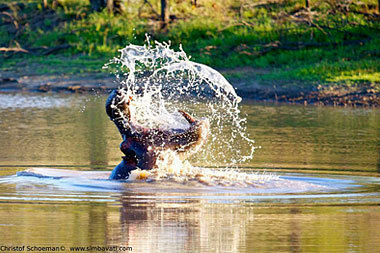 Guided open vehicle guided game drives in the 12,000 ha of traversing that Simbavati has in the Timbavati Private Game Reserve affords Big Five sightings along with excellent viewing of plains game as well.